"I see myself as something of a tie lifeguard. I won’t let fall out of favour and nor will I let coffee or tea stains get the better of them. Last season we debuted rather clever stain resistant ties (errant liquids simply run right off them). I’m delighted to say we’ve now expanded the range to include a batch of classic designs, each crafted from nothing but fine silk." 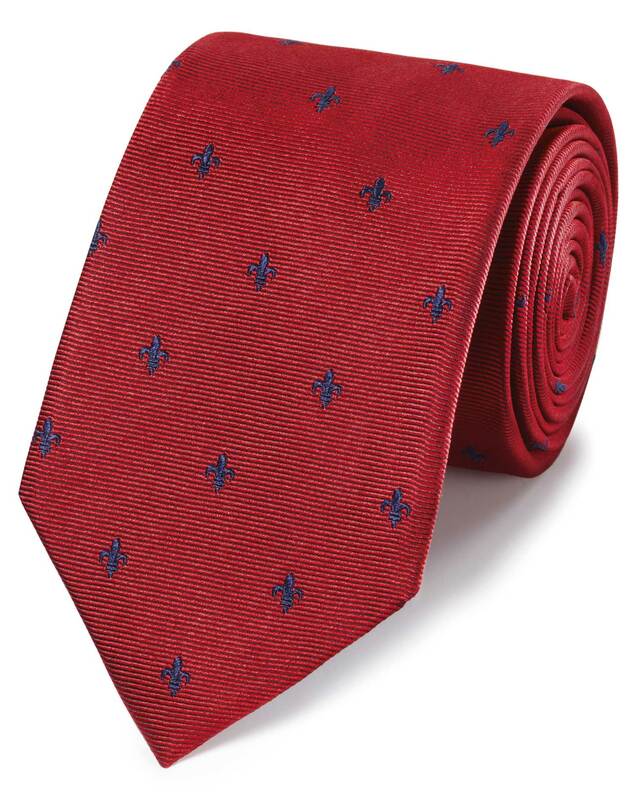 "A hand-finished silk tie like any other, with a brilliant finish that resists stains." A special finish makes this 100% silk tie less likely to absorb stains, allowing you a little more time for an emergency dab (never scrub!). Beautiful tie. Love the quality. Great quality and value. Should of bought more! Tie is lovely but came with crease from packaging. This has happened previously with other tie purchases. Bought for my son. He loved the choices!